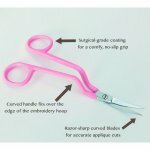 Fall in LOVE with our AMAZING NEW 6” Double Curved Machine Embroidery Scissors! They're a new favorite in our studios and they're sure to be yours, too. They're perfect for 'In the Hoop' and Applique Projects. Easily trim fabrics and appliques precisely - even while allows the scissors to navigate over the edge of your embroidery hoop with ease. 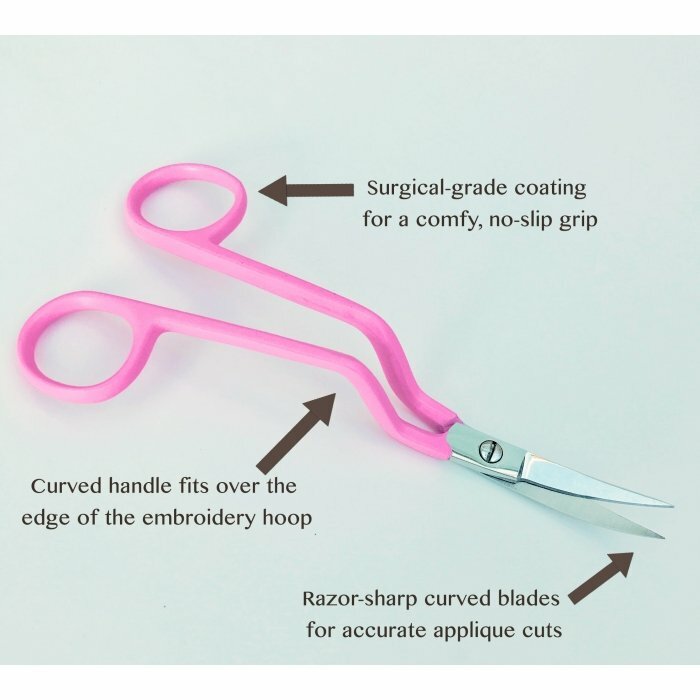 The unique pink coating uses the same material applied to surgical instruments for a comfortable, non-slip grip with less fatigue.